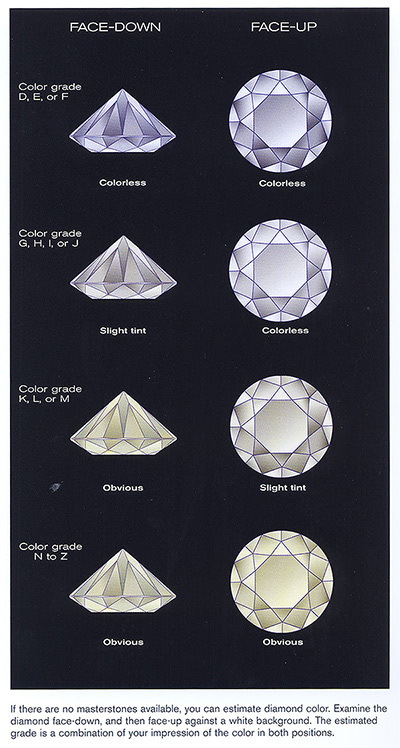 A diamond is a NATURAL mineral composed essentially of carbon crystallized at extremely high temperatures and pressures; in nature, diamonds form 150 to 200 kilometers or more below the earth's surface (see photo 1 & 2). 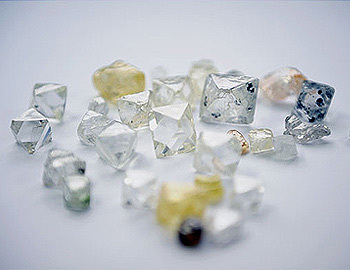 Diamond is the hardest of all known natural substances (10 on the Mohs scale); its refractive index is 2.417, dispersion 0.044, specific gravity 3.52, and its luster is adamantine. 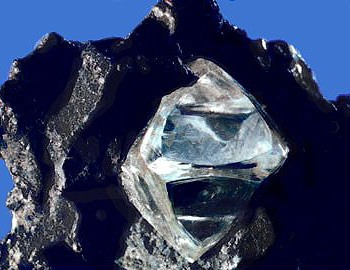 Diamond forms in the cubic, or isometric, crystal system (see photo 3), has four directions of perfect octahedral cleavage, and shows a step-like fracture surface. 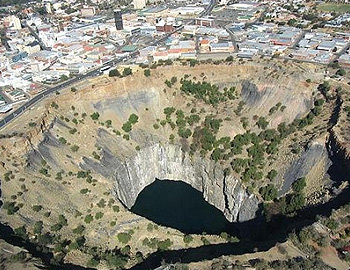 Its color ranges from colorless to yellow, brown, gray, orange, green, blue, white, black, purple, pink, and, extremely rarely, red (see photo 4). 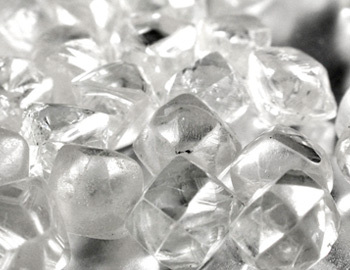 Transparent and near-colorless in a desirable color (see photo 5), diamond is a highly valued gemstone; poorly colored or heavily included single crystals are used for a wide variety of industrial purposes; polycrystalline material is crushed and used as an abrasive powder.